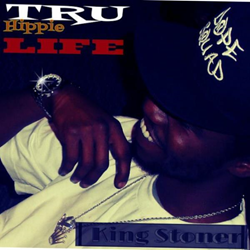 Up-and-Coming New Orleans Rapper King Stoner91 Releases New Project "Tru Hippie Life Da Mixtape"
The new mixtape is currently available on Coast 2 Coast Mixtapes. As a kid King Stoner91 was ambitious; A warrior with a deep love of listening to classic records. King grew up in New Orleans, LA and was heavily influenced by Outkast, Snoop Dogg, Al Green, Isley Brothers, and N.W.A. Throughout his life, he dreamed of becoming the best to ever touch the microphone and bless the stage. In both middle and high school, he considered himself somewhere in between a nerd and an athlete with a passion to sing every chance. That passion soon pushed him to pursue music full time. His "hippie" persona was derived from King's smoking habit, which began in his pre-teen years and continues today. "Marijuana makes the mind wander and enables creativity," he says. "Smoking gives me relief that life can be peaceful if everybody smoked." Fans can stay up to date on the latest music from King Stoner91 by visiting his official Soundcloud page.